Browse the bios of everyone who participated in the NCBLA event How to Get and Keep Boys Reading, including authors and illustrators for young people Jack Gantos, Jeff Kinney, Jarrett J. Krosoczka, Jon Scieszka, Gene Luen Yang, and Librarian and Children’s Literature expert Maria Salvadore. Jack Gantos has written books for readers of all ages, from picture books and middle-grade fiction to novels for young adults and adults. His works include Hole in My Life, a memoir that won the Michael L. Printz and Robert F. Sibert honors; Joey Pigza Swallowed the Key, a National Book Award Finalist; Joey Pigza Loses Control, a Newbery Honor book; and Dead End in Norvelt, the 2012 Newbery Medal Winner and the Scott O’Dell Award Winner for Best Historic Fiction. While in college, Gantos and an illustrator friend, Nicole Rubel, began working on picture books. After a series of well-deserved rejections, they published their first book, Rotten Ralph, in 1976. It was a success and the beginning of Jack’s career as a professional writer. This surprised a great many people who thought he was going to specialize in rehabilitating old bookmobiles into housing for retired librarians. Jack continued to write children’s books and began to teach courses in children’s book writing and children’s literature. He developed the master’s degree program in children’s book writing at Emerson College and the Vermont College M.F.A. program for children’s book writers. He now devotes his time to writing books and educational speaking. 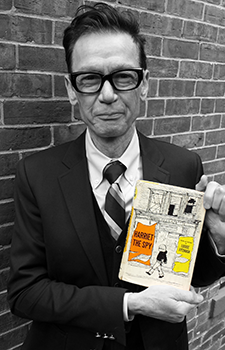 Jack Gantos recommends Harriet the Spy (Harper & Row, 1964), written by Louise Fitzhugh, as a Great Read for ages 8-12. Check out more Great Reads here. Learn more about Jack Gantos and his books on his website JackGantos.com and his Facebook page. In 2006, Jeff signed a multi-book deal with publisher Harry N. Abrams, Inc. to turn Diary of a Wimpy Kid into a print series. The first Diary of a Wimpy Kid book was published in 2007 and became an instant bestseller. Just a year later, more than 100,000 copies were in print in the United States alone. With each subsequent book, in-print numbers continue to grow exponentially both in the U.S. and abroad. There are now more than 180 million copies of the series in print worldwide. Jeff Kinney is also the creator of Poptropica, which was named one of Time magazine’s 50 Best Websites. He spent his childhood in the Washington, D.C., area and moved to New England in 1995. Jeff lives with his wife and two sons in Massachusetts, where they own a bookstore, An Unlikely Story. 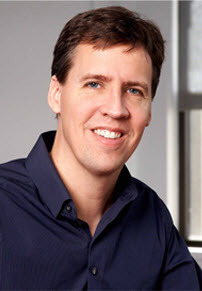 Learn more about Jeff Kinney and his books on his website WimpyKid.com and his Twitter account. 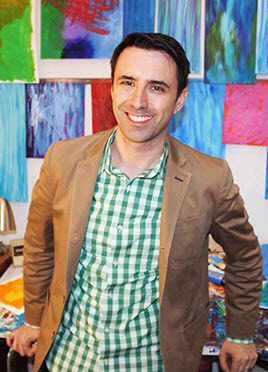 Jarrett J. Krosoczka, a New York Times bestselling author/illustrator, creates books with humor, heart, and a deep respect for his young readers—qualities that have made his titles perennial favorites on the bookshelves of homes, libraries, and bookstores. First published at the age of twenty-three, Krosoczka has more than thirty published books to his credit. Titles include several picture books, his wildly popular Lunch Lady graphic novels, and the Platypus Police Squad middle-grade novels. He also recently launched a new story arc in the Jedi Academy series with Star Wars™: Jedi Academy: A New Class. Krosoczka is a two-time winner of the Children’s Choice Book Awards Third to Fourth Grade Book of the Year and has been a finalist for the prestigious Will Eisner Comic Industry Award. He has delivered two TED Talks, which have collectively accrued more than two million views online. Krosoczka has been featured on NPR and can be heard weekly on The Book Report with JJK on SiriusXM’s Kids Place Live, a show focusing on books, authors, and reading. His Punk Farm, Lunch Lady, and Platypus Police Squad series are all currently in development for film. Krosoczka lives in western Massachusetts with his wife and children, and their pugs, Ralph and Frank. Learn more about Jarrett J. Krosoczka and his books on his website StudioJJK.com and his Facebook page. Jon Scieszka is a bestselling author and the first National Ambassador for Young People’s Literature, having been appointed in January 2008. The position was created by the Library of Congress to raise national awareness of the importance of young people’s literature as it relates to lifelong literacy, education, and the development and betterment of the lives of young people. Born in Flint, Michigan, Jon Scieszka earned a bachelor’s degree in writing from Albion College and a master of fine arts degree from Columbia University. He held a number of teaching positions in the first through eighth grades before taking a year off to develop ideas for children’s books. He is the author of many bestselling children’s titles, including The Stinky Cheese Man and Other Fairly Stupid Tales (winner of a Caldecott Honor medal), The True Story of the Three Little Pigs, Math Curse, Robot Zot!, and the Time Warp Trio, a chapter book series. In addition, Scieszka is the founder of Guys Read, a nonprofit literacy organization. Jon lives in Brooklyn with his family. 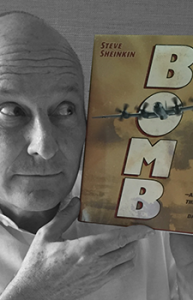 Jon Scieszka recommends Bomb (Roaring Brook Press, 2012) by Steve Sheinkin, as a Great Read for ages 10 and up. Check out more Great Reads here. Learn more about Scieszka and his books on his website JSWorldwide.com and his Twitter account. Gene Luen Yang began making comics and graphic novels in the fifth grade. In 2006, his book American Born Chinese was published by First Second Books. It became the first graphic novel to be nominated for a National Book Award and the first to win the American Library Association’s Printz Award. It also won an Eisner Award for Best Graphic Album – New. In 2013, First Second Books released Boxers & Saints, his two-volume graphic novel about the Boxer Rebellion. Boxers & Saints was nominated for a National Book Award and won the L.A. Times Book Prize. Yang has done a number of other comics, including Dark Horse Comics’ continuation of the popular Nickelodeon cartoon Avatar: The Last Airbender and DC Comics’ Superman. In addition to cartooning, Yang teaches creative writing through Hamline University’s MFA in Writing for Children and Young Adults. 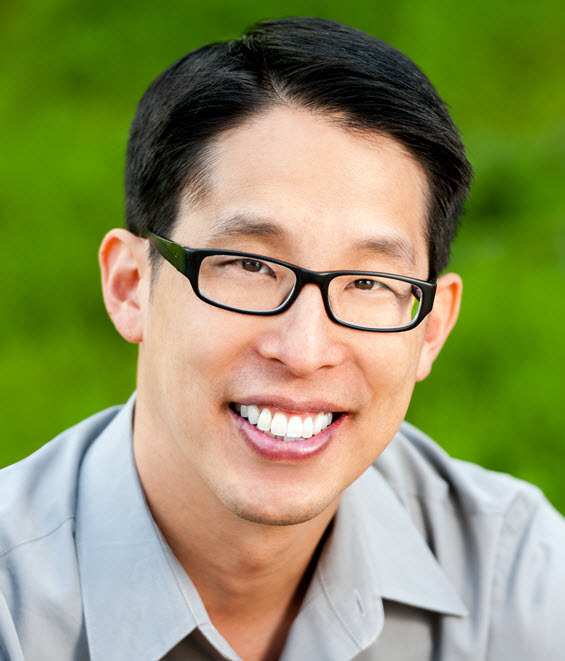 In January 2016, the Library of Congress, Every Child A Reader, and the Children’s Book Council appointed Gene Luen Yang as the National Ambassador for Young People’s Literature. Learn more about Gene Luen Yang and his books on his website GeneYang.com and his Facebook page. Maria Salvadore has been involved with children’s literature and literacy activities for her entire career. She has taught graduate and undergraduate courses in children’s literature, reviews and writes a blog for Reading Rockets, and consults with local, regional, and national organizations. Salvadore has been the Children’s Services Coordinator for the Washington, D.C. Public Library and the Cambridge, Massachusetts Public Library. She has chaired or served on numerous committees including the Caldecott, Newbery, Boston Globe/Horn Book, Children’s Book Guild Nonfiction Award, USBBY’s Outstanding International Books, and the Notable Children’s Book Committee, as well as other award juries. She also reviews for School Library Journal and Capitol Choices.